Darkside Factions is a server to play with your friends. 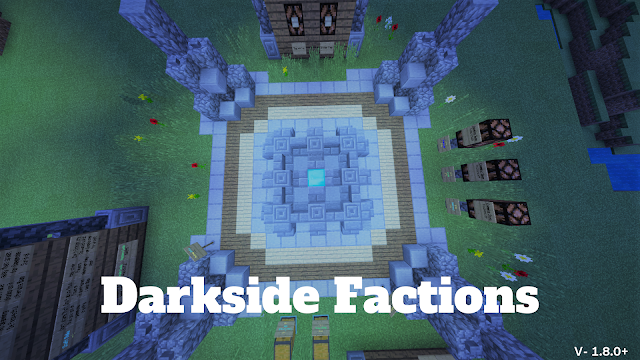 It is a Factions server, that is using the new format of running on Bedrock Dedicated. 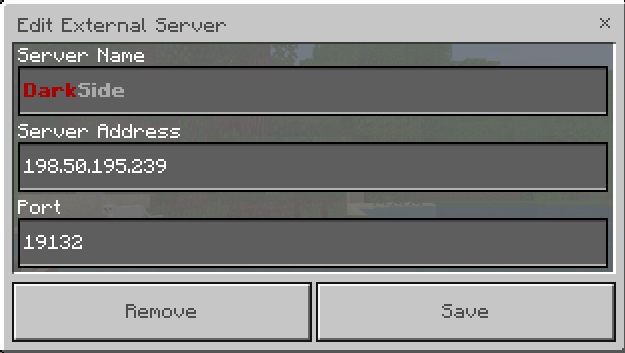 There is 100 Player slots so you don't need to worry about being locked out due to the server being full. 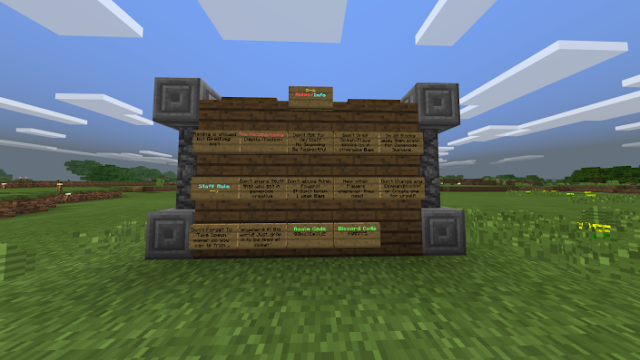 The server is using Ashus' map but modifications have been made to enhance the experience; like spawn, with a better teleporting system, shops and more!